The Leopard is built for riders who need power and versatility to constantly push their riding to new heights. 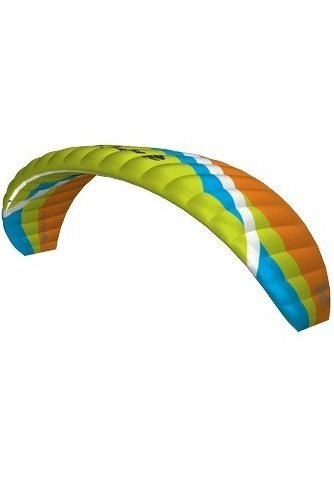 It has been specifically designed to offer the purest snowkiting experience in an open cell depower foil kite. To ensure you get the best out of every session we have made the Leopard into a fast flying, quick turning powerhouse with a large usable wind range that delivers its performance in a reliable and controllable way. As safety is paramount in any high performance depower kite we have incorporated a new ‘stop and go’ safety system, which guarantees 100% depower even in tricky conditions and a no hassle re-launch. The system can also be used to safely launch and anchor the kite if you need to take a break. The V3 Leopard is a Med/High AR, open cell depower foil with a 5th line safety, its lightweight construction makes for a great low end while its stability inspires confidence even in more turbulent situations. 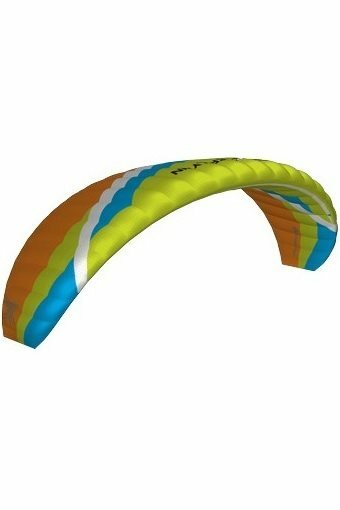 The kite’s responsiveness and high flying speed make for an exciting ride every time you go out to play or head out to explore the backcountry. The Leopard is delivered in a technical backpack that’s fitted with options you’d expect on an expedition pack and there’s more than enough room for your thermos bottle and some food. The Leopards medium high Aspect Ratio design makes it a very fast kite down the line. The specially designed Dyneema® bridle results in a highly responsive and quick turning wing. In contrary to most other depower foils the Leopard is very well behaved.